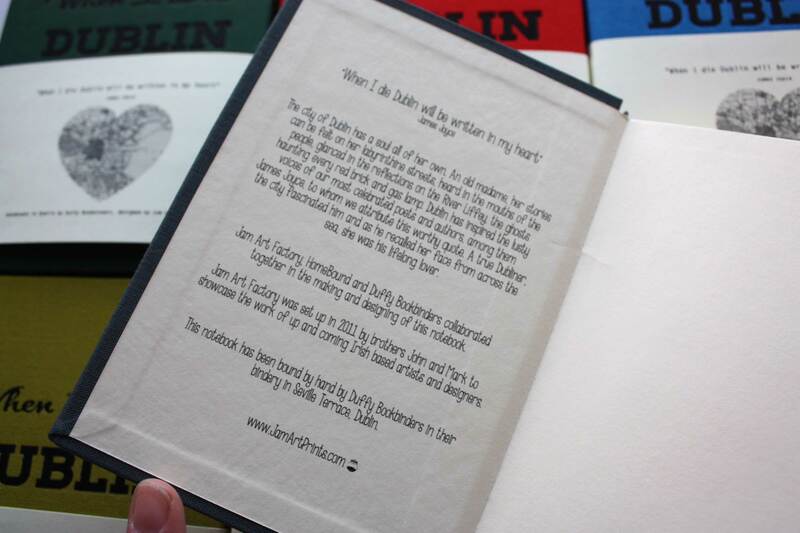 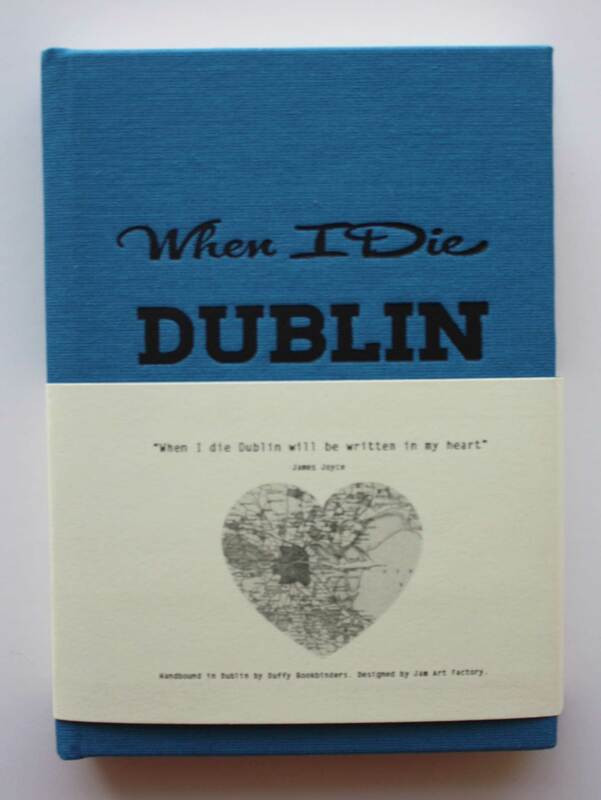 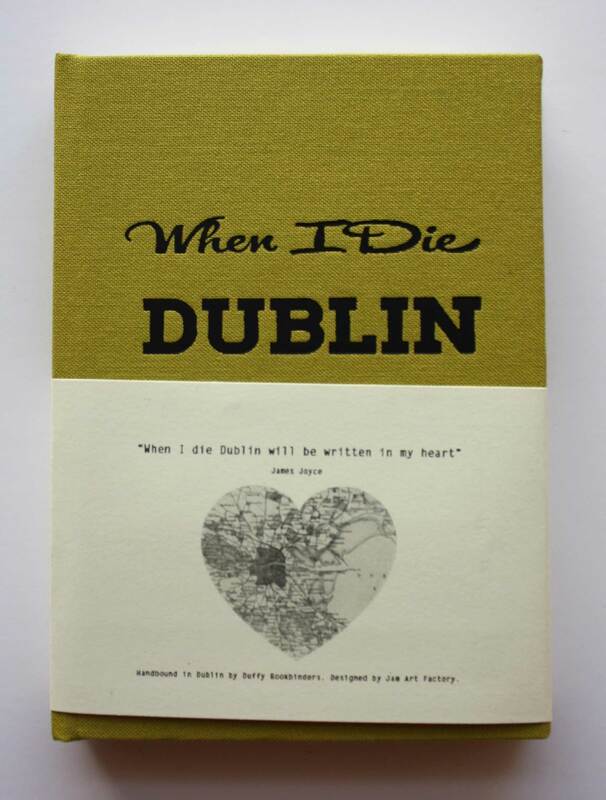 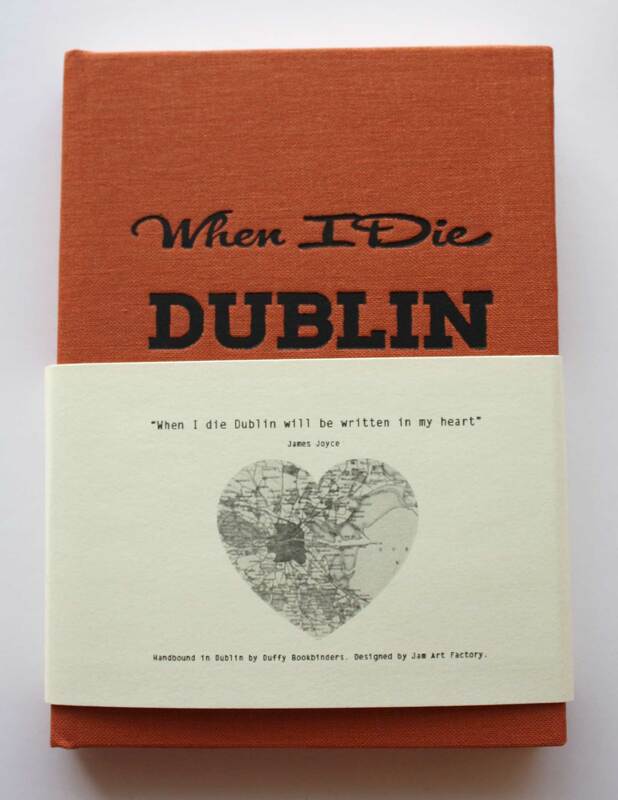 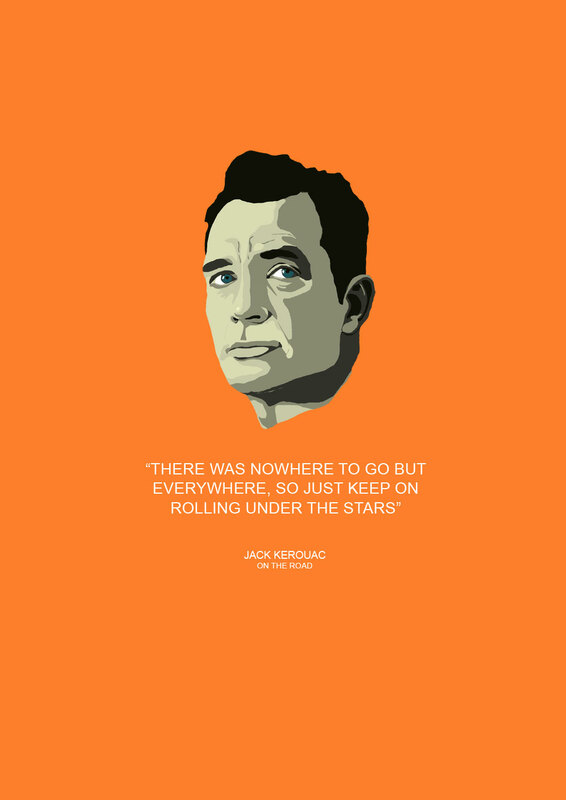 Posted in Books, Dublin, Duffy Bookbinders, Dublin, Father's Day, HomeBound, Ireland, Irish Writers, Love, Quotes, Typography. 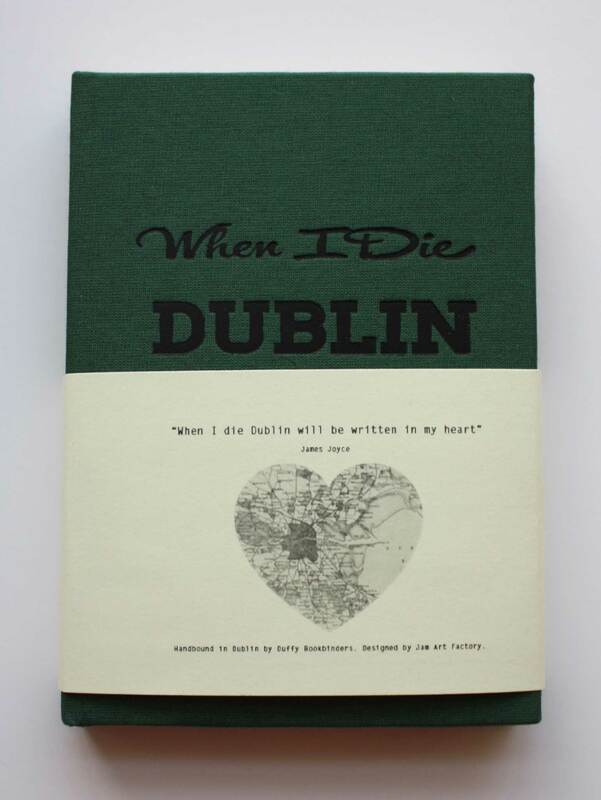 Tagged as duffy, heart, homebound, ireland, james, joyce. 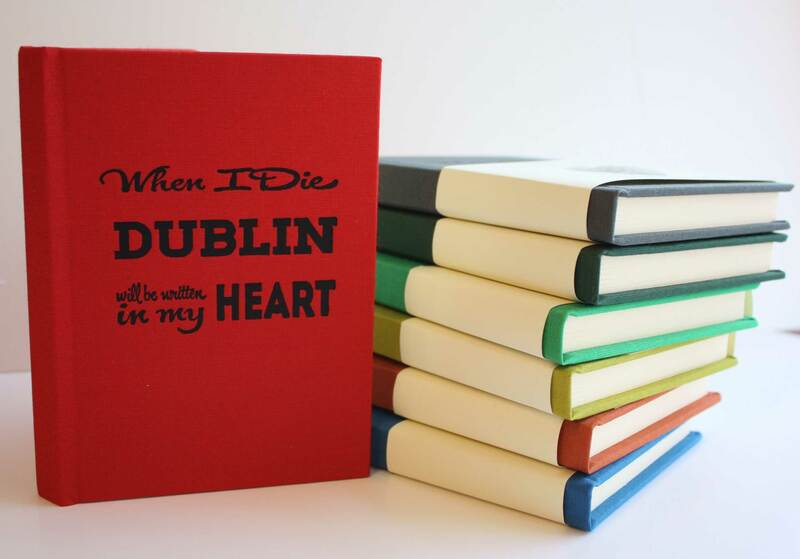 together in the making and designing of this notebook. 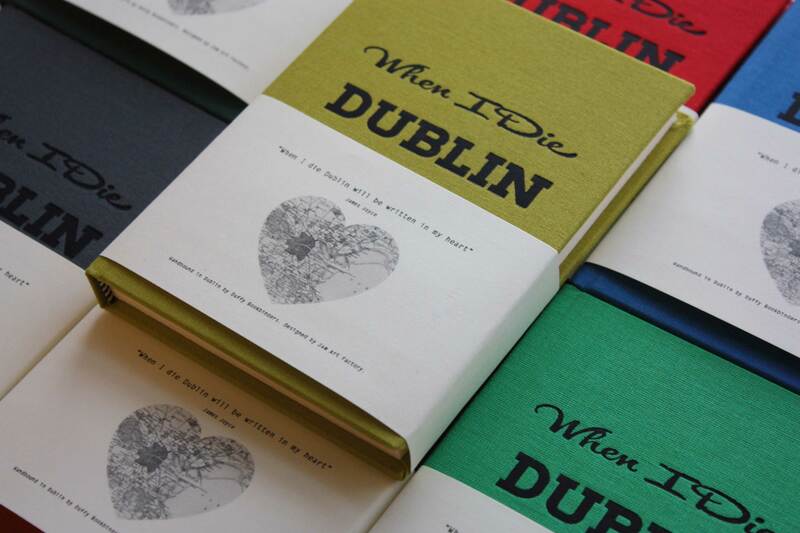 From a family of traditional bookbinders, Duffy Bookbinders was established in 1970. 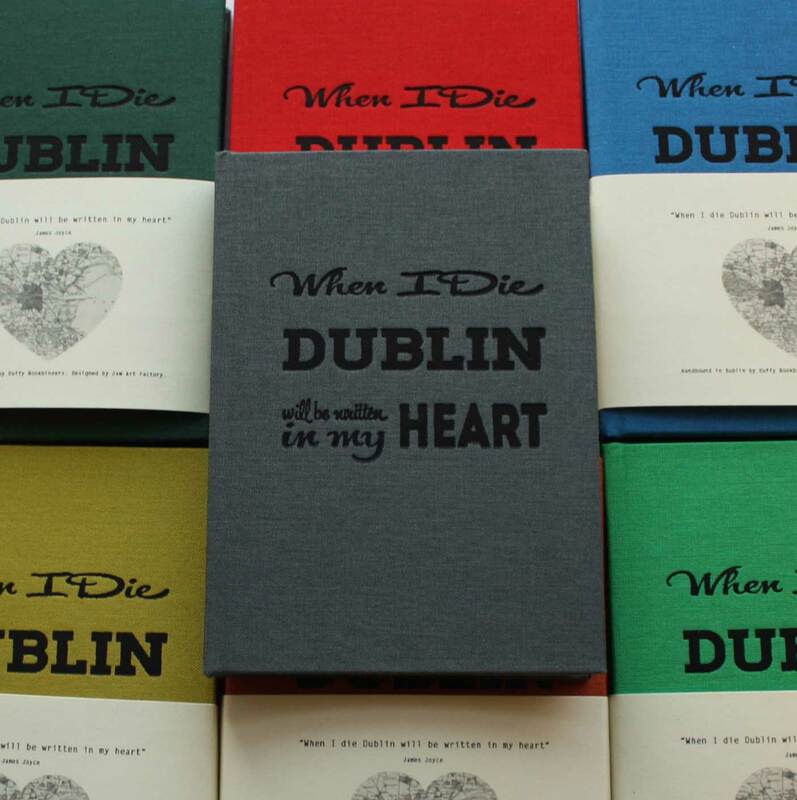 The notebooks are blank paper and hand bound in a range of different colour cloths. 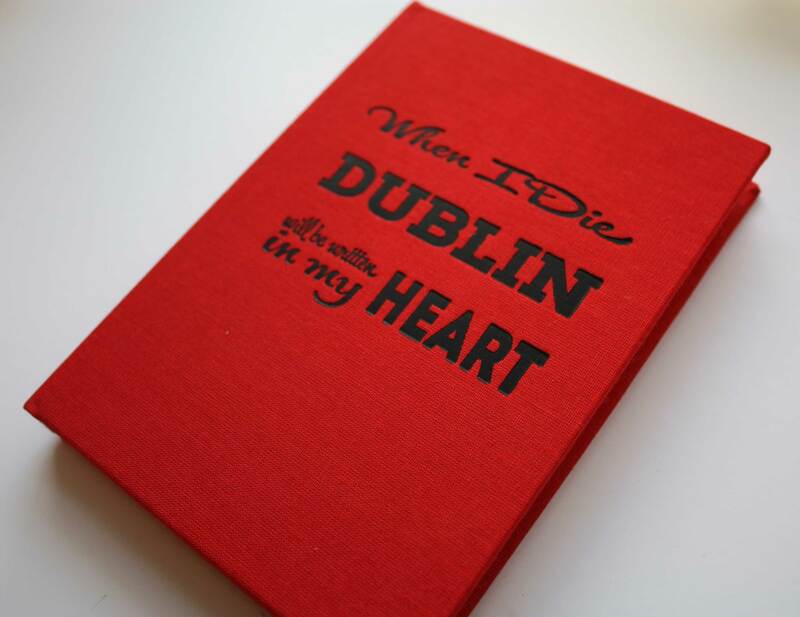 The city of Dublin has a soul all of her own. 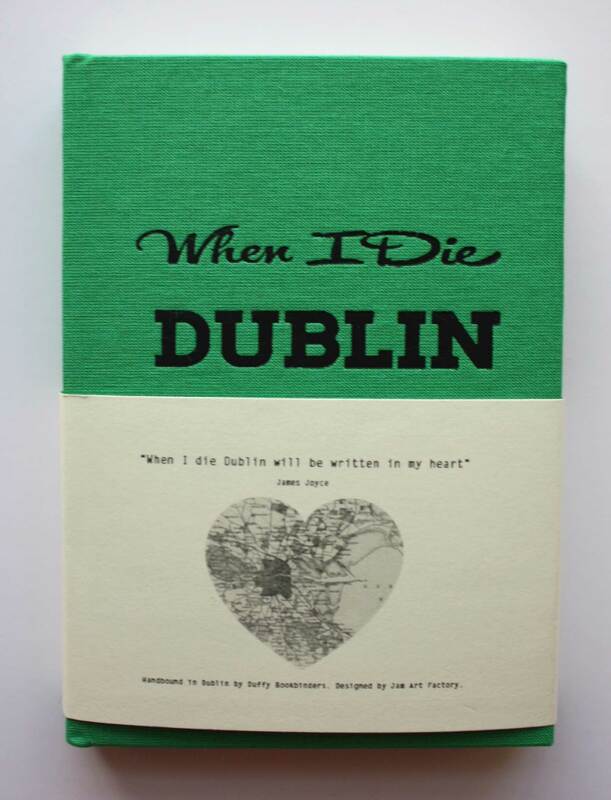 An old madame, her stories can be felt on her labyrinthine streets, heard in the mouths of the people, glanced in the reflections on the River Liffey, the ghosts haunting every red brick and gas lamp. 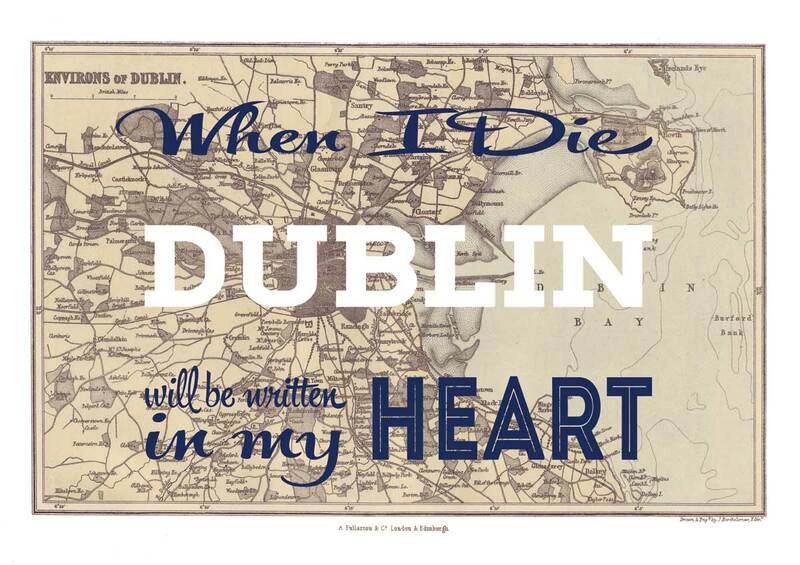 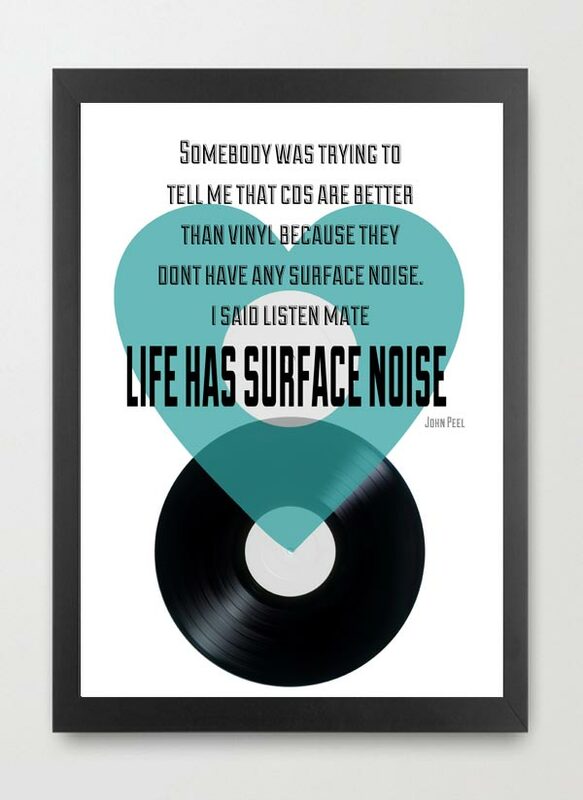 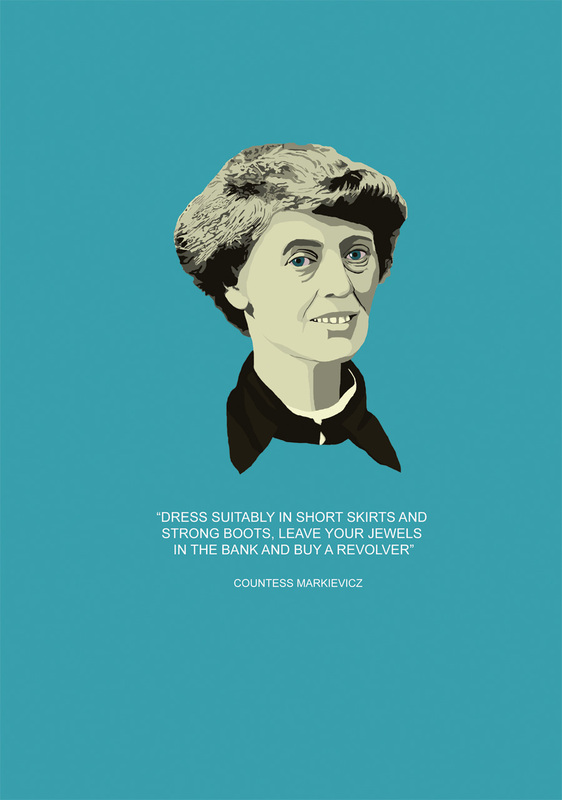 Dublin has inspired the lusty voices of our most celebrated poets and authors, among them James Joyce, to whom we attribute this worthy quote. 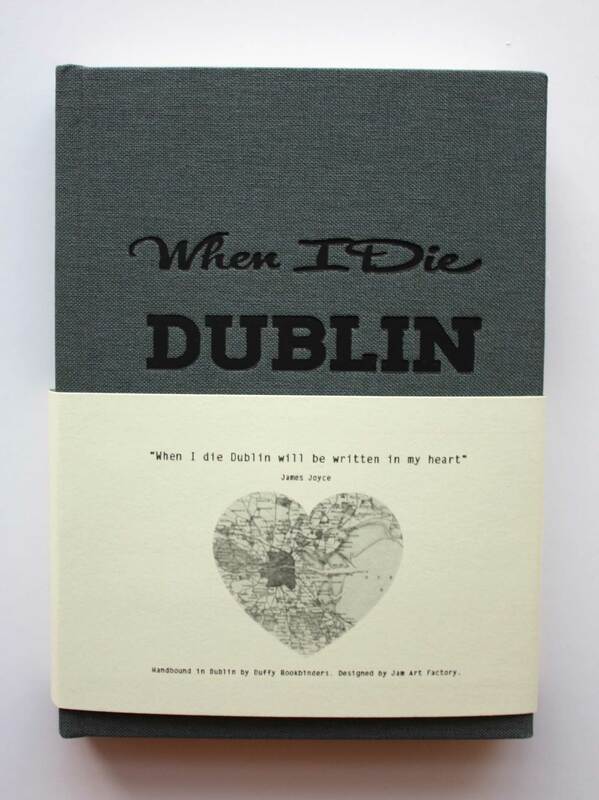 A true Dubliner, the city fascinated him and as he recalled her face from across the sea, she was his lifelong lover.